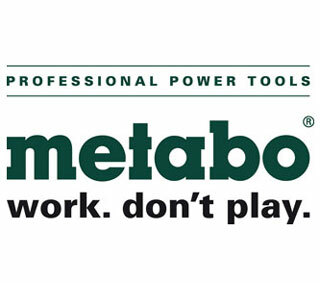 Metabo manufactures professional power tools that work as hard as you do. A household name in more than 100 countries, originating in 1924 in Nurtingen, Germany, Metabo has always been the innovators of the power tool industry, pushing the boundaries with leading power tool technology. The name Metabo comes from the abbreviated name of one such tool – the Metallbohrdreher (a metal twist drill). Metabo are continually developing fast, safe and efficient solutions for the tradesperson (eg the safety clutch, quick nut, marathon motor and impulse functions) and this is evident in all of Metabo’s Power Tools. Metabo’s new 18v Lithium-ion cordless range includes our World’s First 18volt 5.2Ah battery, that fits all current and new Metabo Power Tools (Metabo currently have over 25 cordless power tools in its range). These are the cordless power tools for the future, fitted with cutting edge electronics (such as new motors and patented clutch systems) plus an innovative battery system backup and a generous 3 year battery and tool warranty. While each class is more powerful than the previous, they still remain compact and easy to use.